Last week we had a lovely snow storm come through and a dump almost 2 feet of snow on the ground. Apparently it wasn’t enough to get the mountain ski runs opens but was close. It was good wet powder that made for excellent snow balls and igloos. Yea some of the other enthusiasts decided to make an igloo here on campus, it was later taken over by some of the resident smokers. 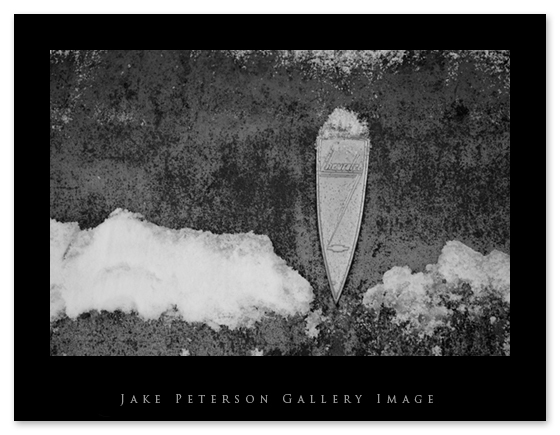 The new snow cover made some new opportunities to come up in the form of photographs. I have yet to find a good way to photograph the trees here in campus. Amazingly enough the orange light coming from the lamp posts onto the snow covered trees is kinda cool, but unobtainable so far in a shot. To plan B I went! What better plan B then the junkyard. This has become a haunt for me, i always seem to go to this same junkyard in search of new images. The snow cover adds elements to the cars that aren’t there beforehand. 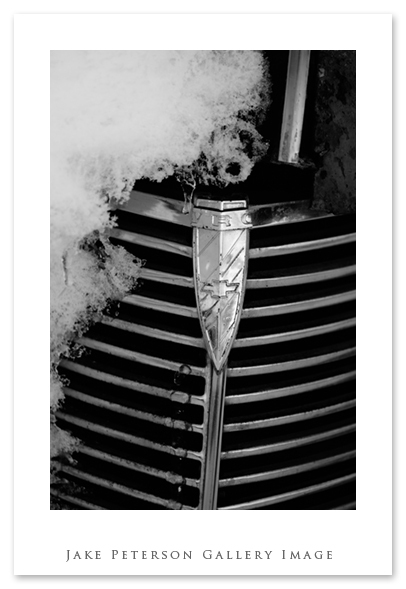 For instance on this Chevy pickup, the snow breaks up the lines of the grill and the faded paint by this Chevy emblem. It creates more opportunities. I like the snow and junkyard so much that i was even here last year. It’s a simple nearby place that i can go back to over and over and will always produce something new. Except for the cars which are in fact old. It can be hard to find these places but the adventure is worth it. Stay tuned as i continue with this rusty acre.